There’s a powerful dynamic between developers and Apple’s App Store – the App Store business makes Apple billions of dollars annually, but would account to zero without developers building great products on top of the iOS platform. Not to mention, that an iPhone by itself is worth far less without applications to highlight the capabilities of its hardware and operating system. These are just a few of the many reasons why Apple strives to maintain a healthy relationship with the developer ecosystem and to help developers grow their app business. The primary tool at their disposal is leveraging featuring options in the App Store – giving your app a quality stamp from their editorial team, and putting your product in front of millions of daily active App Store visitors. Does your app have a unique user experience? Does your app take advantage of Apple’s latest software and hardware releases? Are you generating significant revenue for Apple? Does my app page stand out from a visual perspective? Do you have an existing relationship with Apple representatives? If you’re interested in reading more tips on how to get featured, read this great post by OneSky. Following these steps does not guarantee you’ll get featured, but will put you in the right direction! There are a couple of ways that Apple features apps: placing them in the featured tab, and giving select apps a unique app page that gives more of a branded feel. In the first part of this post, we’ll review the “featured” tab and what you should do to make the most of it. The featuring that generates the largest volume of installs is when your icon is placed in the central and default “featured” tab in the App Store, placing your app center stage for hundreds of millions of Daily Active Visitors. There are unique featuring sections for different categories as well. These pages follow a similar structure. The top of the featured page typically includes a rotating image gallery with feature banners, and below are new apps and games App Store editors love. Optimize your Icon to increase visitors to your app store page- In order to increase CTR to your app store page, you must design an Icon that stands out among your competitors. The StoreMaven platform enables you to test your Icon in the context of your competitors. In a “list test” (as we call it), we create a landing page of “Top 10” apps in your industry, listing you and competitors you would like to test yourself against. 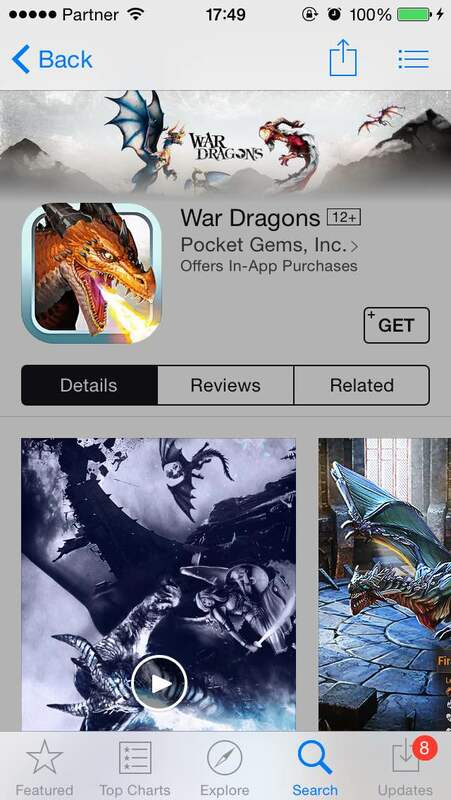 We show app title and Icon. By sending traffic to this page, you have the chance to optimize your Icon in the context of your competitors, keeping you one step ahead. Optimize your app store page to increase installs- A good ASO strategy always strives to optimize the ROI target in both variables of the equation: CTR and CVR. While a list test may help you increase visitors to your app store, the bottom line is whether or not your store page did a good job convincing the user to download the app. Each and every element of your app store has a role in telling the story of your app. By testing different store variations in the StoreMaven platform, you can boost your app store conversions by an average of 20%-45%! Here are our 10 killer app store tips to knock your conversion out the park! Appearing in Apple’s featured tab is a great opportunity to increase brand awareness, but brand awareness on its own can only get you so far. To maximize this opportunity, we recommend testing your Icon to optimize CTR and testing your app store to increase conversion. Make sure to read our next post, where we’ll elaborate on the featured app page (as in the store shown below), its special design and how to utilize it to massively drive up conversions. Helit is StoreMaven's illustrious growth manager. In her free time (when she's not crafting new content, analyzing her latest SEO changes or reading EVERYTHING about ASO) well.. she.. ahh.. yeah she doesn't have free time. Contact her if you wish to collaborate on an article or just chat about market. Hi, I’m a blog editor and would like to translate this article intro Chinese , how could I contact the author to get permission? Hi Evelyn, please email me at Helit@storemaven.com Thanks! Hi, my app got featured in the Canada App Store. How do I get it to feature in other App Store location?